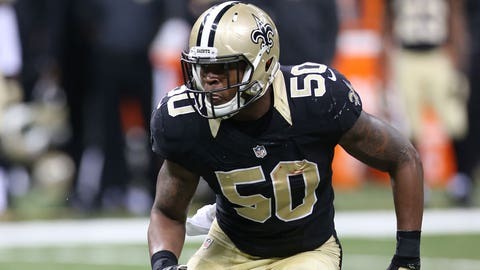 Saints linebacker Stephone Anthony proved Sunday that he doesn't stop until the whistle. With the New Orleans Saints already up 7-0 in the first quarter Sunday, Panthers running back Jonathan Stewart took a run up the middle that seemed to be stopped for just a short gain. Bizarre? Absolutely. Did it count for six? You know it. Quite the way to start a game against the undefeated Carolina Panthers.